instrumental effects that cannot simply be recreated using individual samples. Following the above concept, ProjectSAM aimed for a more epic, cinematic sounding recording. 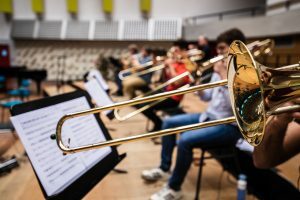 In 2001, ProjectSAM’s first test recordings resulted in the Free Trumpets, a Gigastudio instrument of a 3-player trumpet section performing multiple articulations in unison. ProjectSAM posted this instrument online as a free download for the composer community. 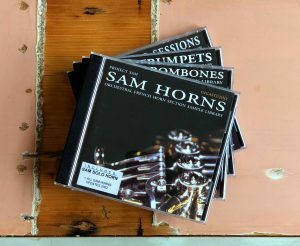 The Free Trumpets served as the proof of concept for ProjectSAM’s first commercial release in 2002: SAM Horns. Many releases have followed since, further defining ProjectSAM’s cinematic recording concept, first completing the family of orchestral brass, then moving on to orchestral percussion. Apart from a carefully selected set of articulations, ProjectSAM has always been keen to record an inspiring set of orchestral effects alongside, ranging from French horn rip clusters to bowed cymbals. After completing percussion with True Strike, ideas grew for a new library that focused more intensively on orchestral effects, as well as playable, pre-arranged orchestral ensembles. Teased under the working name SAM Movie Box, 2008 saw the release of what would become the game changer library for ProjectSAM as well as, arguably, the orchestral sampling industry: Symphobia. Symphobia was ProjectSAM’s most successful release yet and quickly became an indispensable tool of inspiration for many film, tv and game composers. ProjectSAM developed and released two follow-ups, expanding the palette of the original release with the darker sounding Symphobia 2 in 2010 and the lighter, fantasy-themed Symphobia 3: Lumina in 2014. ProjectSAM has also successfully explored the jazzier, non-orchestral side of film scoring with Swing! and the acclaimed sequel Swing More!. ProjectSAM’s office is based in the beautiful old city centre of Utrecht in The Netherlands. Over the years, ProjectSAM has become one of the most respected orchestral sample development companies. 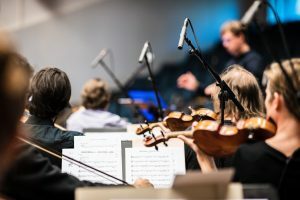 ProjectSAM’s sounds are being used worldwide by the industry’s leading composers and can be heard in many blockbuster films, television series and video games. Apart from our own online store, our products are also carried by the following distributors.